Sales Manager Norway, Rune Håvik. 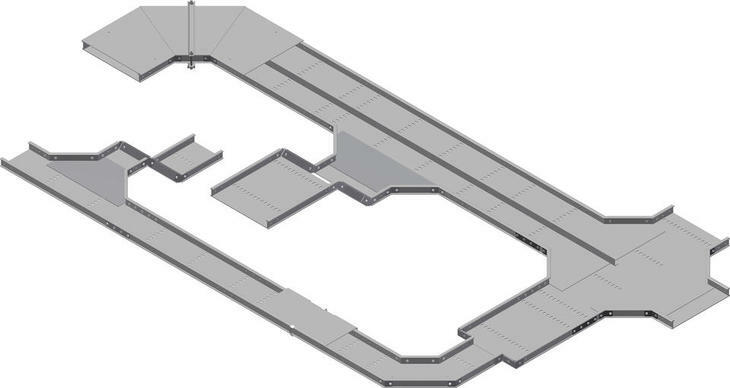 In two out of three multi-storied car parks at Stavanger Airport in Norway it has been installed support systems and cable ladders made from FRP. Rune Håvik explains that there are many reasons for this and that he hopes that more contractors will become aware of the FRP-system from Oglaend System. The car park has "open walls" and is situated close to the North Sea. "Salt and moist and humid air comes in and makes other materials corrode and rust. In addition constant construction work in the area generates a lot of dust that accumulates in water drops on the installed equipment. This dust contains metal particles and so not only corrosion could be a possible threat. 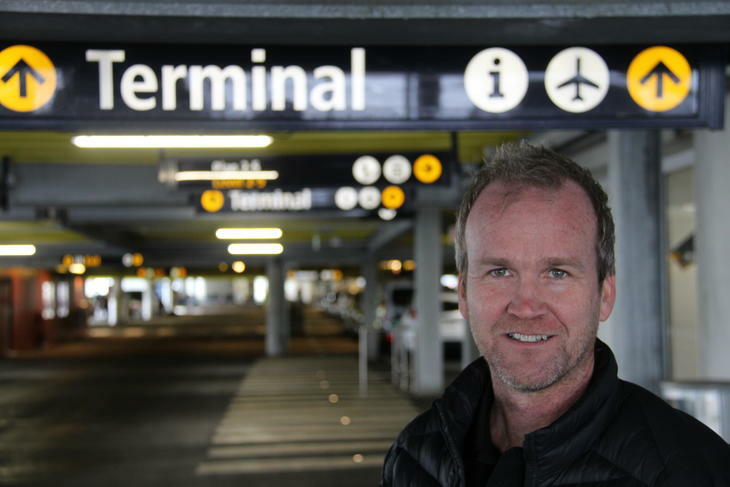 Water containing rust that drips on the parked cars is really not something that we want", Rune Håvik points out. 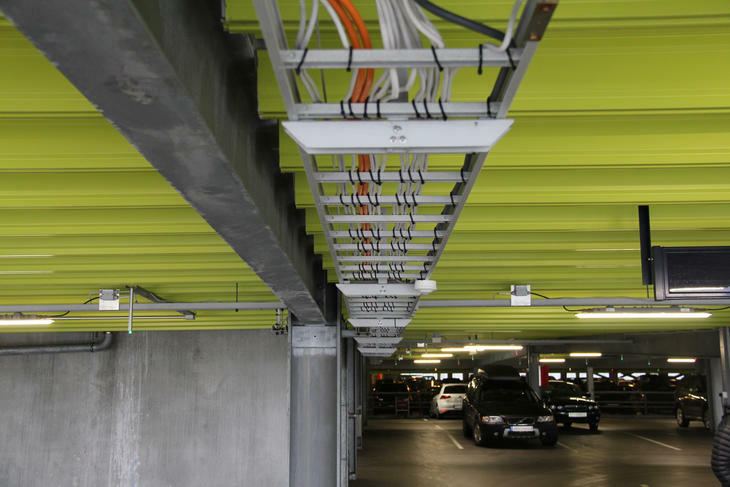 The car park at Stavanger Airport in Norway has been installed with a cable management system made from FRP (fibre glass) and not stainless steel. Corrosion resistance was one of the main reasons for choosing FRP as well as less weight and quick installation. Oglaend System's FRP systems are now being installed in more and more corrosive environments and the combination of corrosion resistant and non-conductive materials is quite unique. In addition FRP products weigh app. 20 percent of equivalent steel products. Also the FRP system is halogen free, fire retardent and impact resistant. Mechanical modification of the FRP products can be made with simple hand tools and without hot work. The FRP system also has vibration resistant flange nuts. 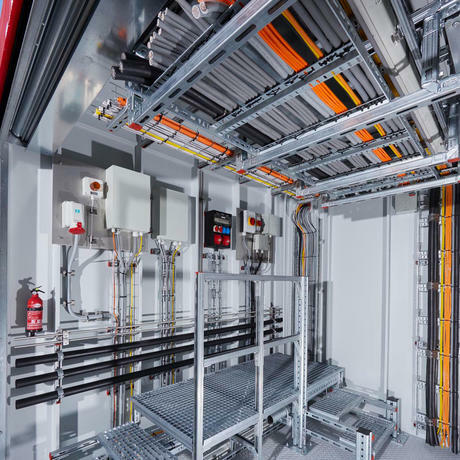 Click on the image to discover the cable ladder system FOE. 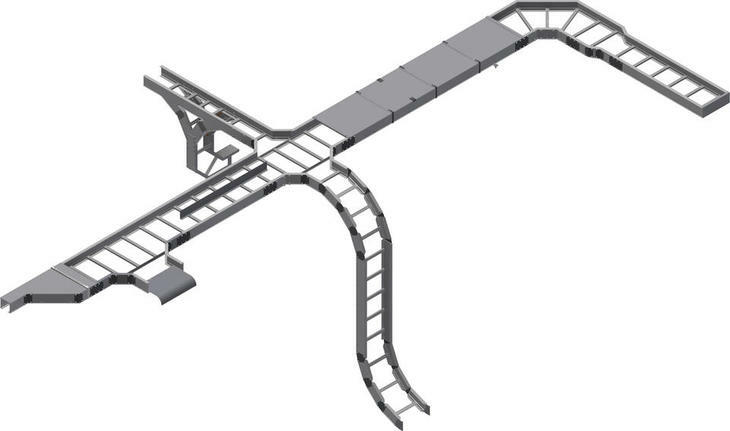 Click on the image to dicscover the cable tray system FTE. From 27.-29. 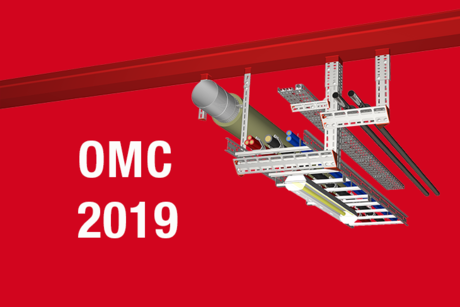 March Oglaend System and Hilti will showcase innovative solutions for oil & gas projects at the Offshore Mediterranean Conference & Exhibition in Ravenna, Italy. 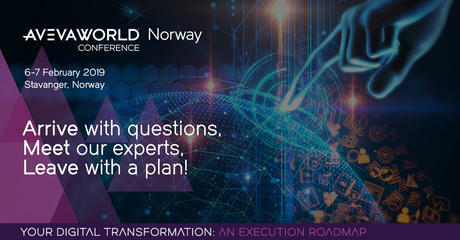 From 6th - 7th February Oglaend System will exhibit at the Aveva World Conference in Stavanger. 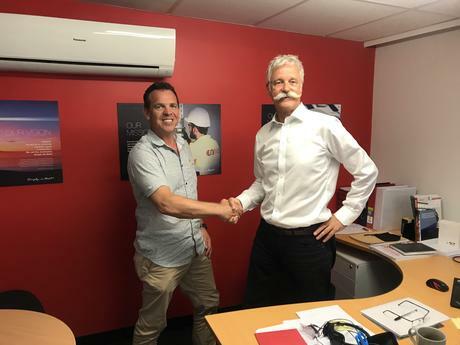 We are pleased to announce that Doug Sangster is joining our company as the new Sales Director for Oglaend System Australia. He will start in his position on the 7th January. 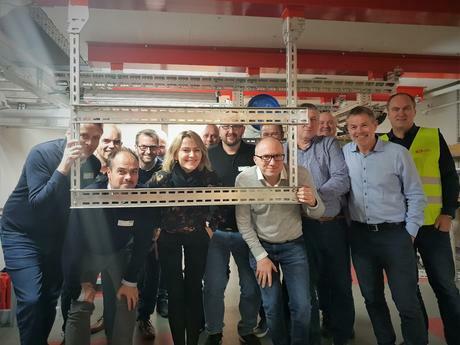 Oglaend System recently hosted representatives from Nelfo/NISS – a Norwegian trade association for electro. The topic of the day was how we can utilize smart solutions to improve the competitiveness of the Norwegian supplier industry’s within electrical systems for ships. From 4.-7. September Oglaend System and Hilti will showcase solutions for shipbuilding projects at the SMM exhibition in Hamburg. SMM is the leading international maritime trade fair and attracts around 50,000 visitors and 2,200 exhibitors biannually. Visit us at ONS 2018! 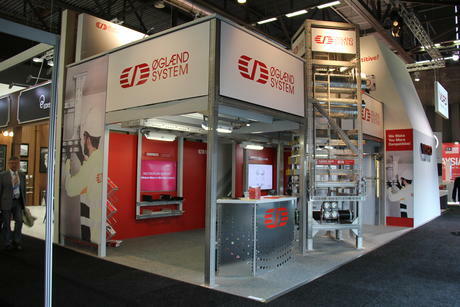 We hope to see you at our stand during ONS in Stavanger, Norway. This year we have expanded our stand to make room for new products and innovations. There will also be opportunities for "hands on". Welcome to our stand 7200 in hall 7.